Beautiful homes require enormous investment in terms of time and money. Homeowners would agree that it takes hours and hours of browsing to find the perfect painting, mirror or decoration piece that would complement the rest of the furniture in a room. Often, such artifacts are pretty heavy on the wallet. However, when the room is ready and looking gorgeous, all the time and money spent becomes totally worth it. With the passage of time, things tend to get worn out and soiled with use, making proper maintenance a necessity. Without the right care, expensive household items will be turned to waste. Oriental and area rugs, for example, are used in many homes to decorate sitting rooms. Each rug costs thousands of dollars, making them precious. In order to protect them and elongate their life, a specialized oriental and area rug cleaning company should be hired. Oriental rugs are very delicate and the slightest negligence can lead to a lot of damage. People may think it is a good idea to clean them at home. In fact, experts recommend the contrary. They believe that oriental carpets should not be cleaned on location like wall to wall carpets. Instead, they believe that oriental rugs and other woven carpets should be cleaned in-plant, because several treatments that are needed for more thorough cleaning, controlled drying and various other tools are not available on location. 1. Oriental and area rug cleaning experts know more about each kind of fabric and also have the right knowledge of cleaning prescription. 2. Specialized rug cleaners have all the right tools and equipment to clean the dirt out of your rugs. For example, they use a pile filter with special vacuum attachments that is the most effective cleaning tools for any fabric. A professional oriental and area rug cleaner will have access to an Oriental Rug Shampoo that is especially designed to get maximum cleaning while protecting sensitive natural fibers. oriental rugs, such as the wash pit that is designed keeping in mind the delicate nature of oriental rugs. 4.The drying and finishing is one of the most crucial steps of rug cleaning. Experts know how to dry rugs in a controlled environment to avoid unnatural shrinkage and browning. 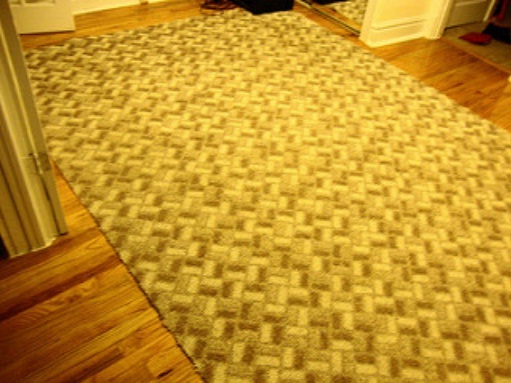 The rugs are then combed and finished with soft groomers that are made for specialty rugs. 5. Finally, specialized oriental rug cleaners like Advanced Surface Solutions LLC offer the kind of service that frees the client of the entire hassle of rug cleaning. Apart from picking it up from your doorstep, the cleaners will wrap the rug to protect it from dust and environmental soils, deliver it to your house and place it for you.